Vollrath 131-8 (1) Compartment Drop-in Sink - 9.375" x 11.75"
(1) Compartment Drop-in Sink - 9.375" x 11.75"
The Polar Ware 1 compartment heavy duty drop-in hand sink is great for restaurant equipment or doing the sanitation process. Your staff will appreciate the radius the Polar Ware sink bowl corners and no-drip sink countertops. The Polar Ware 1 compartment heavy duty drop-in hand sink features a buffed stainless steel finish for a sleek, clean look. 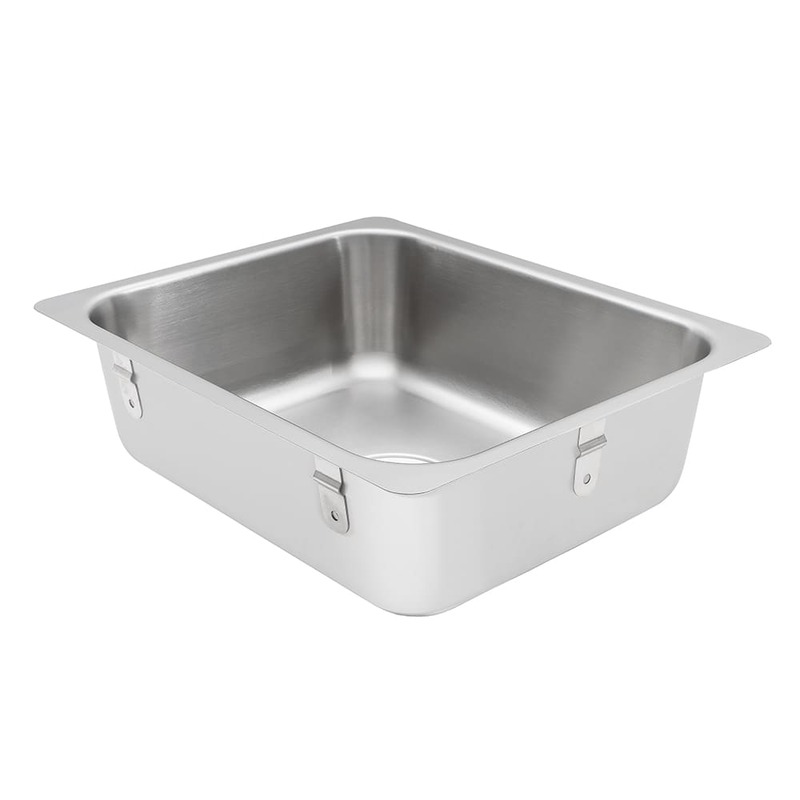 The flat rim will ensure no snagging or scratching of kitchen tools or persons. The 2" diameter drain comes standard on the 1 heavy duty compartment drop-in hand sink.